The Polynesian Resort’s standard rooms are all located on the ground floor with parking lot access and views of our park, a popular spot for the kids and pets. 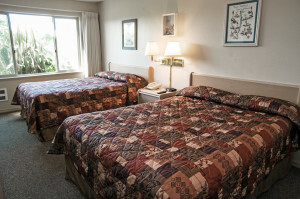 Standard rooms feature queen beds, TV-DVD and coffee maker. The room sleeps up to four guests.